Imagine your son or daughter standing up in front of their friends, performing amazing miracles that will leave everyone astounded! Now imagine capturing this incredible moment on camera and keeping it to cherish for a lifetime. The looks of wonderment and excitement on their faces as they do something they never thought was possible. Michael O'Brien is a professional magician with over 10 years of experience working with children of all ages. We invite your little one up front with Michael as the star of the show. They will perform incredible magic tricks as well as get to choose which one of their friends can join them as volunteers. Turn your living room or patio into a theatre and prepare to experience amazing acts that are sure to astound children and adults alike! Join Michael for 30 minutes of high energy fun and interactive magic that will leave your children’s jaws on the floor for days! 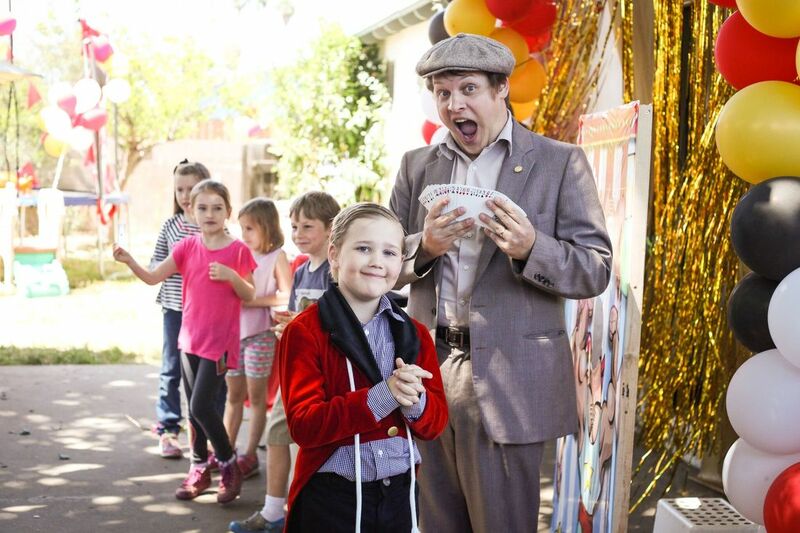 In addition to the 30 minute magic show, Michael will also make balloons for the children to take home with them! that will make your next event extra special! Click here for testimonials and reviews from those who have worked with Michael already!